The popular BUDDY design is re-imagined to suit a different cup of tea. 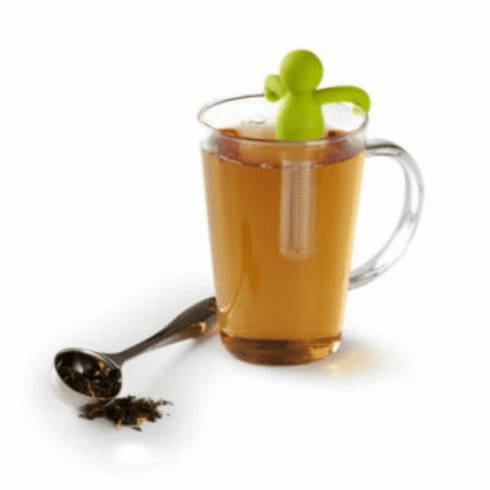 Buddy tea infuser is a molded silicone holder with a removable stainless steel mesh that perfectly infuses your loose tea leaves. Designed to hang onto your mug even when sipping, buddy once again makes the job look easy and casual.